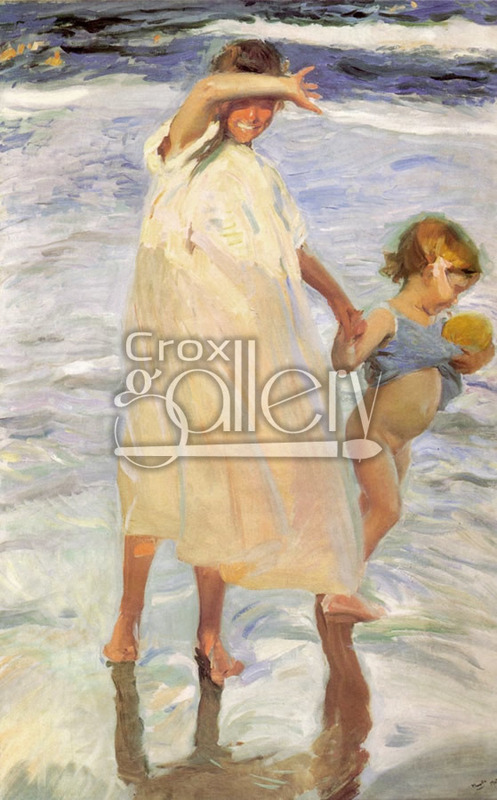 "Two Sisters" by Sorolla, girls portrait, Painting Reproduction. 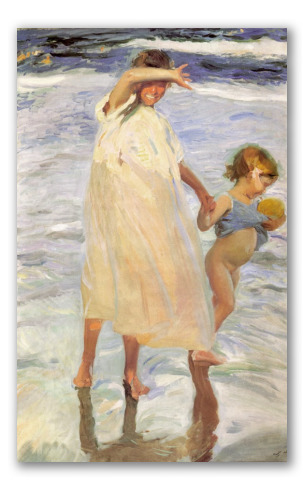 Two Sisters by Joaquin Sorolla y Bastida, belongs to the series of folkloric paintings and portraits made by the artist in his native city of Valencia, Spain. In this painting you can see the sun, and little girls on the Mediterranean coast wearing the white dress typical of the region.